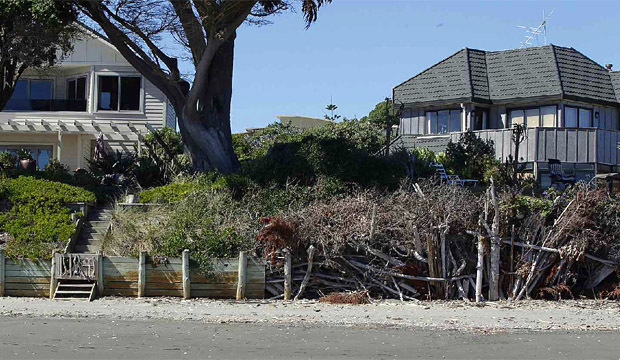 Councils and ratepayers are grappling with coastal erosion. Coastal processes are complex, earthquakes add extra urgency, the stakes are high. TalkWellington wonder: are we expecting too much from local communities and local government? Looking out of the train along the Paekakariki Escarpment, Wellington’s tectonic and coastal origins hit you in the eye. The Pukerua Fault scarp looms above State Highway 1 and the Main Trunk railway, and Te Raukawa – Cook Strait crashes below. Kāpiti residents and the District Council have been grappling for years with the way the sea moves sand up and down the coast. Everyone’s main concern is the erosion that’s undermining coastal properties and causing ratepayers to demand coastal protection from the public purse. The complexity of coastal processes (and especially of sea level rise), and each place’s uniqueness, mean expensive expert science is needed (paid for from rates). Then there’s interpreting it, which is difficult for laypeople (including council officers, funded from rates). Then there’s doing good community engagement to get some social licence to act, from communities with strong opinions, different ideas about rights and entitlements, all with politicians on a three-year electoral cycle, all funded from rates. And then there’s turning the science into policy decisions (extremely difficult) which are guaranteed to have major implications for individuals’ lives, like red-zoning or decisions to retreat, and major cost implications for councils with many expensive responsibilities. Throughout all this there’s guaranteed to be a lot of controversy and often distrust of councils’ decision-making, with individuals often having strong incentives to disprove or cast doubt on councils’ pronouncements about which bits of land must be sacrificed. From a ratepaying perspective, there are strong incentives to shift blame or responsibility onto other generations – all while the sea continues to do what it does. 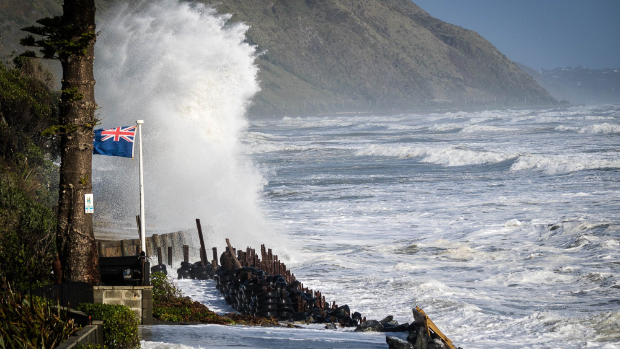 Fundamentally, dealing with coastal erosion is one of those issues where it’s simply not reasonable to expect local government to do this alone, especially given current capability and especially where earthquakes or climate change are amplifying risk. The intellectual horsepower required to do a decent job is out of reach of most councils, yet the intensely local nature of the issues and solutions means that a nationally-driven approach would be terrible. The NZ Initiative and Local Government NZ, fresh back from (landlocked) Switzerland, argue that Aotearoa badly needs to undertake a “great central-local recalibration of government”, in other words using greater subsidiarity (getting decisions made at the lowest level of government possible) and giving local government control of a greater proportion of the public purse. Would greater localism help with making the unavoidably difficult and painful decisions in our towns – like how to deal with coastal erosion?